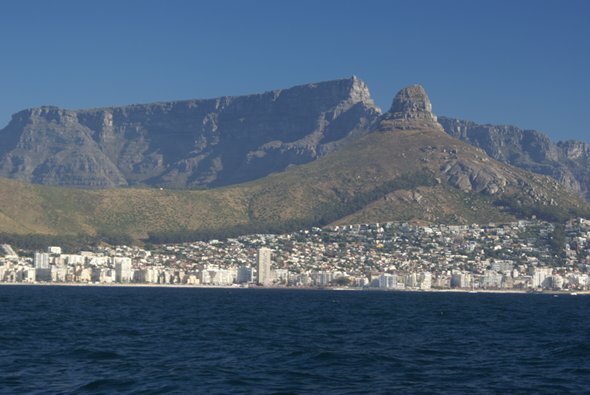 Green Point is the last corner to turn before heading into Cape Town. It's another potential acceleration zone and the wind increased to 20kts. It has the potential to go up to 40-50kts at the drop of a hat, so we reefed in anticipation, only for it to drop down to less than 10kts and less. Still, we weren't complaining. 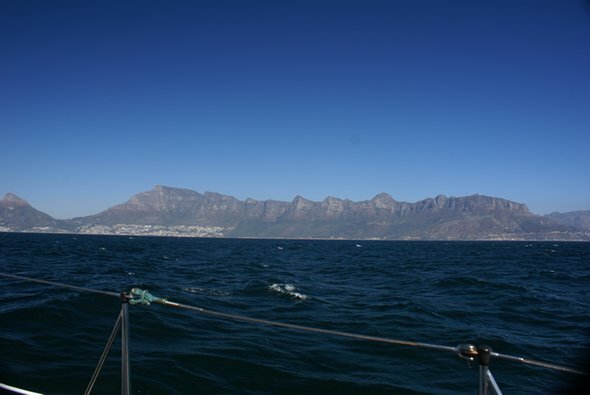 It would have been nice to have more wind along this leg, going north towards Cape Town, but you can't have everything and it was a beautiful day with not a cloud in the sky. 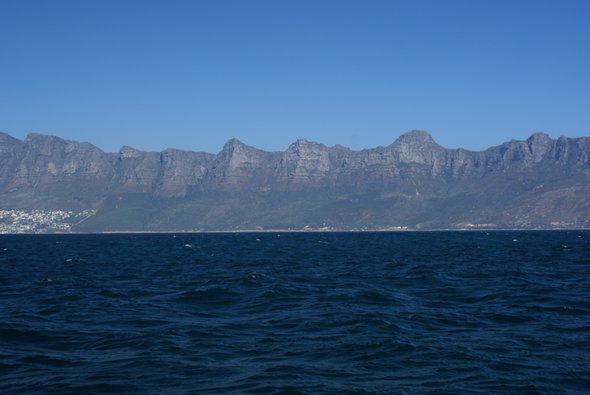 So great for taking photos and we took loads along the coast and on the approach to Cape Town. Heading up the west coast approaching Green Point, you go past the 12 Apostles. Not sure we could count 12, but there are supposed to be 12 peaks. 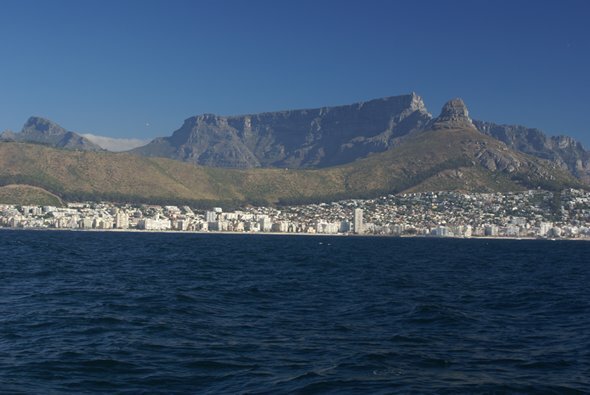 and Signal Hill to the left, and that in turn is dwarfed by Table Mountain. lower slopes of Table Mountain.